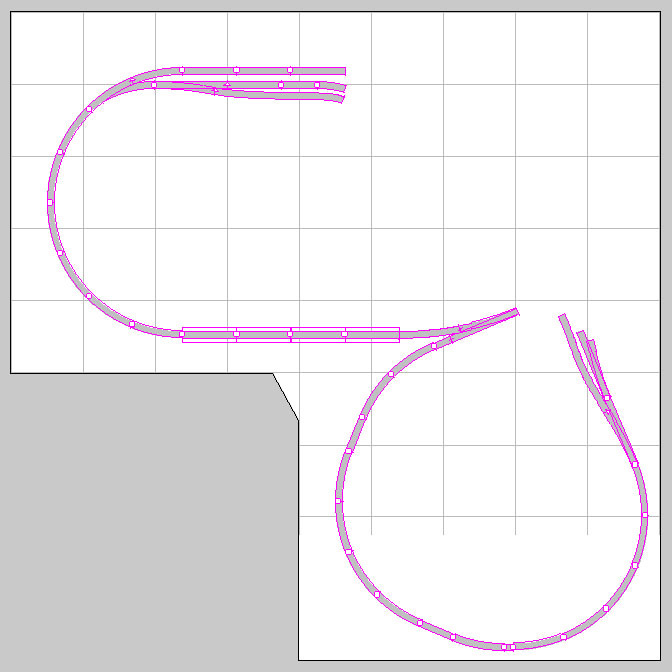 The track on this level forms the yard approach tracks. They extend from 6 inches to 9 inches above the bench grid and form about a 2% grade. All track is visible. These tracks and all yard tracks form a reverse loop and are under common power polarity control. Each approach leg is electrically isolated for occupancy detection.